Thomas & Mercer, 9781477833445, 414pp. Five years ago, an elusive assassin came far too close to killing former government agent John Brynstone's daughter. Using a legendary elixir called the White Chrism, Brynstone healed his daughter and in so doing, gave her an amazing power. Now, Brynstone has sworn to hunt down the assassin and avenge his family. His only chance is to find pieces of a centuries-old lost artifact that will lead him to discover the Black Chrism, which has the awful power both to give and to take life. Brynstone sets off on a perilous quest to uncover and reassemble the valuable artifact, piece by bloodstained piece. 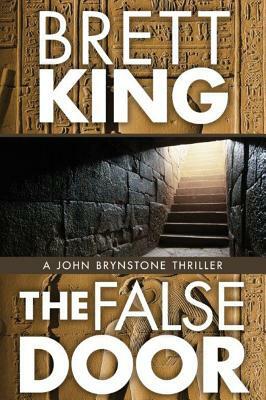 Following a trail of historical clues, his journey takes him around the world, from a mysterious Parisian grave to an ancient Egyptian catacomb. Along the way, Brynstone is joined by a motley crew of allies, and hunted by formidable adversaries, until he's no longer sure who to trust--only that he must succeed in order to save his daughter.